Educators have an ever-increasing stream of data at their fingertips, but knowing how to use this data to improve learning and teaching — how to make it less overwhelming, more useful, and part of an effective collaborative process — can be challenging. Based on the book Data Wise: A Step-by-Step Guide to Using Assessment Results to Improve Teaching and Learning, this course describes a clear, 8-step process for using a wide range of data sources to improve instruction. You will see what this disciplined way of working with colleagues can look and feel like in a school setting. You will also have the opportunity to share insights and experiences about school improvement with educators from around the world. As a bonus, this course provides a complete video case study introducing the Universal Data Wise Improvement Process and showing how it can be used at a system level. Kathryn Parker Boudett is lecturer on education and the director of the Data Wise Project at the Harvard Graduate School of Education. Her passion lies in supporting educators in working together effectively to improve learning and teaching. She oversees a portfolio of on-campus and online programs that teach educators how to integrate the Data Wise Improvement Process into their core work. She also leads the Data Wise Coach Certification Program, which is designed to help schools and systems bring wise data practices to scale. Her publications include Meeting Wise: Making the Most of Collaborative Time for Educators (2014), coauthored with Elizabeth City; Data Wise: A Step-By-Step Guide to Using Assessment Results to Improve Teaching and Learning, Revised and Expanded Edition (2013), co-edited with Elizabeth City and Richard Murnane; Data Wise in Action: Stories of Schools Using Data to Improve Teaching and Learning (2007), co-edited with Jennifer Steele; and Key Elements of Observing Practice: A Data Wise DVD and Facilitator’s Guide (2010), co-authored with Elizabeth City and Marcia Russell; all of which are published by Harvard Education Press. Boudett holds a Ph.D. in Public Policy from the Harvard Graduate School of Arts and Sciences and a BA in Economics from Yale University. In this step you will become acquainted with the course website and the role of teaching fellows and learners in this course. You will meet your fellow learners and get to know about each other’s goals for the course, their backgrounds and leadership contexts. Access instructional and peer support for your learning. Create a plan for managing your time effectively to engage fully in this course. Explain how the Data Wise Improvement Process can be used to organize the core work of schools & systems for improvement of teaching and learning. In this step, you will be introduced to the foundational skills of collaboration that support the Data Wise Improvement Process. Identify the role that Step 1 plays in the Data Wise Improvement Process. Explain the key tasks involved in Step 1 and why they are important. Self-assess the extent to which Step 1 is currently being done in your setting. Practice the habit of mind of maintaining a relentless focus on evidence by looking at a meeting agenda. In this step, you will be introduced to the concept of assessment literacy, a critical skill in the Data Wise Improvement Process. Identify the role that Step 2 plays in the Data Wise Improvement Process. Explain the key tasks involved in Step 2 and why they are important. Self-assess the extent to which Step 2 is currently being done in your setting. Practice the habit of mind of maintaining a relentless focus on evidence by looking at a score report. In this step, you will be introduced to the data overview, a strategy for moving from “piles and piles of data” to a focused priority question for your school. Identify the role that Step 3 plays in the Data Wise Improvement Process. Explain the key tasks involved in Step 3 and why they are important. Self-assess the extent to which Step 3 is currently being done in your setting. Practice the habit of mind of maintaining a relentless focus on evidence by examining a data overview. In this step, you will learn the importance of looking at many different types of data, from student work to exam results to conversations with students. From this, you will be introduced to the process of identifying a learner-centered problem. Identify the role that Step 4 plays in the Data Wise Improvement Process. Explain the key tasks involved in Step 4 and why they are important. Self-assess the extent to which Step 4 is currently being done in your setting. Practice the habit of mind of maintaining a relentless focus on evidence by examining a student essay. In this step, you will practice observing teaching and learn the importance of looking at a variety of instructional data sources. Identify the role that Step 5 plays in the Data Wise Improvement Process. Explain the key tasks involved in Step 5 and why they are important. Self-assess the extent to which Step 5 is currently being done in your setting. Practice the habit of mind of maintaining a relentless focus on evidence through watching a classroom video. In this step, you will understand the importance of the action plan, how you create it, and how you implement it in your setting. Identify the role that Step 6 plays in the Data Wise Improvement Process. Explain the key tasks involved in Step 6 and why they are important. 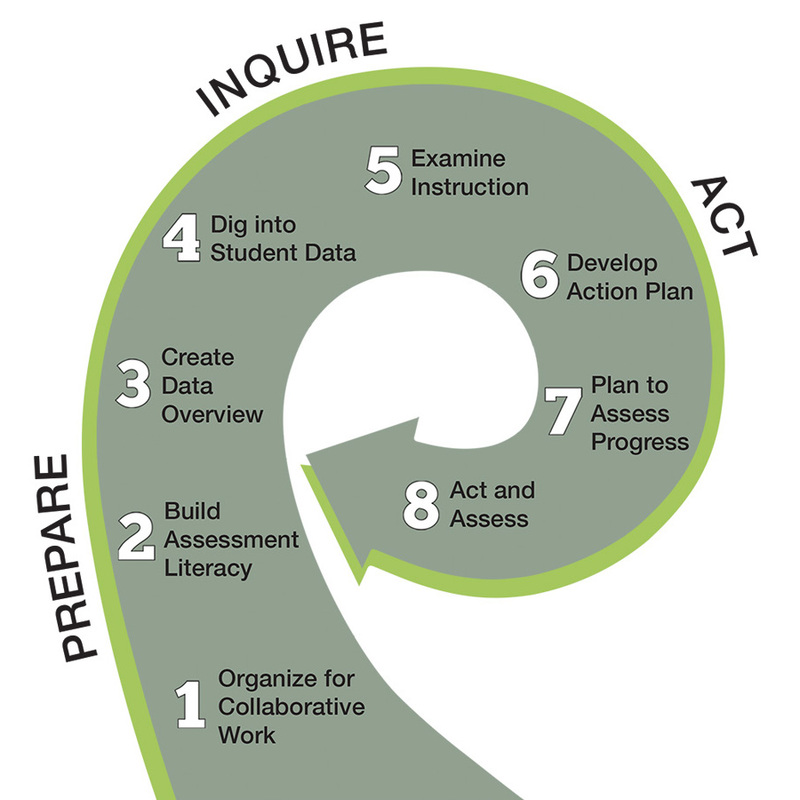 Self-assess the extent to which Step 6 is currently being done in your setting. Practice the habit of mind of maintaining a relentless focus on evidence by looking at an action plan. In this step, you will learn the importance of having check-ins of your progress as you go through the Data Wise Improvement Process. Identify the role that Step 7 plays in the Data Wise Improvement Process. Explain the key tasks involved in Step 7 and why they are important. Self-assess the extent to which Step 7 is currently being done in your setting. Practice the habit of mind of maintaining a relentless focus on evidence by looking at a plan to assess progress. In this step, you will be introduced to implementing an action plan, checking in and revising your action plan, and celebrating success. Identify the role that Step 8 plays in the Data Wise Improvement Process. Explain the key tasks involved in Step 8 and why they are important. Self-assess the extent to which Step 8 is currently being done in your setting. Practice the habit of mind of maintaining a relentless focus on evidence by looking at a plan to assess progress by looking at a data overview. In this bonus section, you will be introduced to the Universal Data Wise Swoosh, which applies the Data Wise Improvement Process to central office teams. Explain what adjustments a central office team would need to make in order to engage in the Data Wise Improvement Process. Understand who the learner for different central office teams might be, and how that would influence how to engage in the inquiry process. Appreciate the opportunities and challenges of engaging in the Data Wise process at the system level. Describe one central office team’s journey through the Data Wise Process. In this section you will reflect on the course. You also may be interested in learning more and bringing the process to your setting. This module reviews resources available to help you accomplish this transformative goal. Upon completion of this module, you will be able to pursue opportunities for continuing to learn and apply the Data Wise Improvement Process to your school. And all of the children who welcomed us to their school!